Kalpitiya is one of Sri Lanka’s top whale watching hotspots, perfect for breathtaking views of the enigmatic creatures. Getting to see the largest animal on earth up close and personal, is a once in a lifetime, awe-inspiring opportunity. Seeing whales in their natural habitat are something only a few of us can dream of, and Kalpitiya affords you this opportunity to view whales just a short distance from the island’s shore. Kalpitiya is popular for its presence of a variety of whales, including Sperm Whales and Blue Whales, and a visit here is imperative as it is a world class attraction of marine life. What types of whales can I see in Kalpitiya? Boat trips regularly take off Kalpitiya Peninsula to catch sights of a variety of whales. 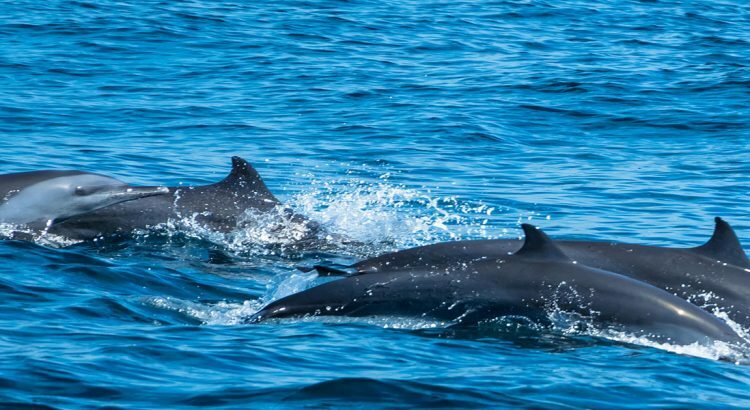 The most common whales to be found here are Sperm Whales, whilst the Blue Whale, Minke, Melon-Headed and Dwarf Sperm whales can also be spotted surfacing from time to time. Even Orcas have been sighted just outside Kandakuliya waters! Sperm Whales: The most common whale spotted in Kalpitiya, the Sperm Whale is the largest toothed whale in the world, and the second largest of the whale species in general. They are often seen travelling in large groups, but this is an unusual occurrence for onlookers at Kalpitiya. The average size of mature male Sperm Whales is 16 meters, but some may reach over 20 meters, and its head makes up one-third of its length. Blue Whales: Look out for Blue Whales – the largest animal in the world, and the heaviest too – on your whale watching expedition in Kalpitiya. Seeing these long, slender marvels, that are known to be up to 30 meters in length, swimming through the water is a once in a lifetime opportunity and one that will be remembered for years to come. Minke whales: Minke whales, are not as large as the Sperm and Blue whales, but are just as exciting to see in Kalpitiya. They range from 7 – 10 meters in length and are black/grey/purple in color. They breathe three to five times at short intervals before deep diving for longer intervals. Melon-Headed whale: Also known as the many-toothed blackfish and electra dolphin, the melon-headed whale is commonly found in tropical waters. Its body is shaped like a torpedo, with a head rounded similar to a melon, hence its name. This whale can grow up to 3 meters in length and is a fast swimmer. Dwarf Sperm: This is the smallest of the whale species and can occasionally be seen at Kalpitiya. It can grow up to 2.7 meters in length, and makes slow, deliberate movements. It has a mainly bluish grey body with a large dorsal fin. The inland waters are quite calm and are apt for surfing and other activities. Owing to Negombo’s tropical climate, the waters are warm and are suitable for water sports. This permits you to go surfing without any extra protection like the use of wetsuits, hoods, gloves and boots. Surfing in Negombo states that you can hire gears and boards for surfing. But it is highly recommended that before going surfing, you must seek the local people’s advice about the tides and strong undercurrents. Surfing in Negombo tells you that Mt. Lavinia located few kilometers from Negombo and the entire Southern Resort area are appropriate for proper surfing. Especially during the months from May to October, these places provide fascinating surfing opportunities. It was at this time, the winds help in bringing the waves for surfing and thus enable an easy and smooth surfing. The popular types of Surfing in Negombo includes kite surfing and wind surfing. Other famous places in Sri Lanka which are famous for surfing are Hikkaduwa and Arugam Bay. Apart from surfing, few other types of water sports are awaiting you in Negombo. Some of the most famous and interesting ones are diving, sailing, scuba diving, snorkeling, water skiing and deep-sea fishing. If you are keen on adventure sports and water-related activities, Negombo is the perfect choice. However, excluding Surfing in Negombo and the water sports, you can also enjoy a fabulous bird-watching experience and a relaxing sunbathing on the beach itself. 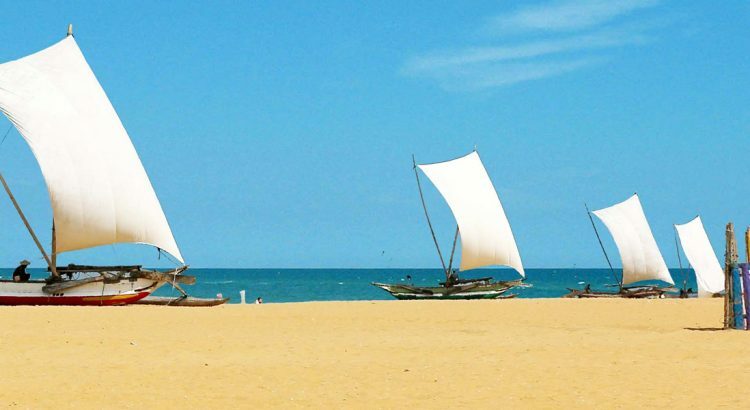 The lush green nature, the long stretch of beach, and the stunning views offered by the blue expanse of the ocean are other chief attractions in Negombo. Wilpattu is situated in the northwest of the island, close to Puttalam, Kalpitiya and Anuradhapura. It is one of Sri Lanka’s largest and oldest parks and arguably one of the most spectacular. Dense scrub jungle and dry zone forest opens onto villus, small lakes, surrounded by grassy plains. The park also borders the coast where you can see the remains of Queen Kuweni’s palace, which is thought to date from ancient times. The real advantage of doing safaris here is that it is not commercial like Yala, and therefore there will be times when there are only a handful of other jeeps in the park. You may not even see anyone else on your trip, which really adds to the authenticity of the experience. 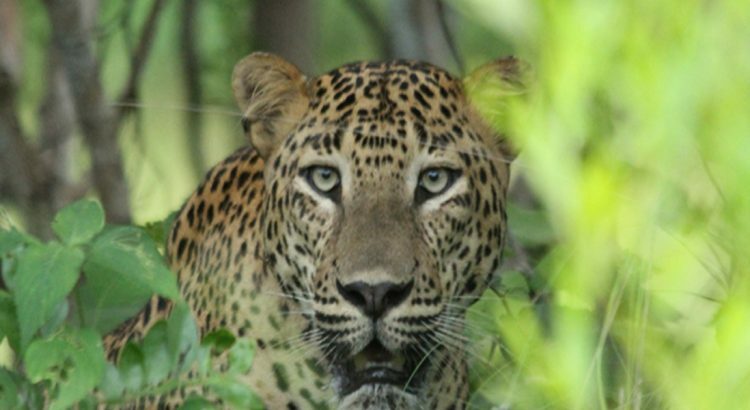 The highlights of a Wilpattu safari are seeing leopards and sloth bears. However, there is also a wealth of other wildlife to spot including: Asian elephants, spotted deer, barking deer, sambar, wild boar, Asiatic buffalo and mugger crocodiles. Endemic birds include the Ceylon junglefowl, brown-capped babbler, Ceylon woodshrike and black-capped bulbul in riverine habitats. Butterflies recorded include the great eggfly, great orange tip, glad-eye bushbrown, blue mormon, common mormon, common rose and crimson rose. February to August is the best time to visit when the weather is good and the skies are clear. June/July is bear season because pallu and weera trees are in fruit and these are a sloth bear’s favorite snack. An Ideal beach town for sun and sea lovers and about an hour’s journey from Colombo, Negombo is also a short trip from the airport in Katunayake. With fabulous sunsets, strolls along the shore, little shops selling garments and souvenirs, live bands playing, restaurants peppering almost the entirety of the seaside strip, water sports at the beach park; fishing, kite surfing, snorkeling, scuba, are a part of the everyday sights, sounds and things to do, when in Negombo. This beach town is easily accessible from E03 expressway while leaving from Colombo to the airport or after arrival in Sri Lanka. A short stay on your way, if time permits, would be something to experience. Here is a wonderful hotel to stay whenever you visit Negombo with your friends, families or even solo.